Book Debut on Roseanne Television Series - Elda M. Lopez - THE (IN)FIDELITY FACTOR. Points to Ponder Before You Cheat. 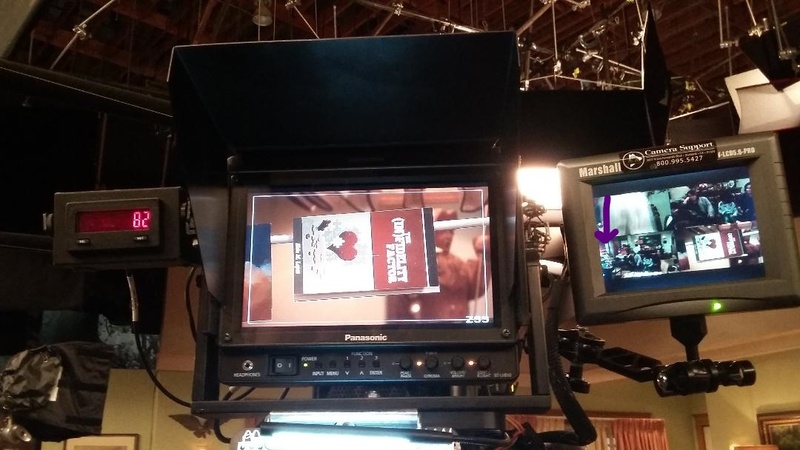 My book, THE (IN)FIDELITY FACTOR: Points to Ponder Before You Cheat made its television debut last night on Roseanne. Thankfully I captured images the day of shooting as the episode visual was fleeting. Neal Carlos, camera operator extraordinaire, also helped out. Many thanks to the show itself for allowing me the opportunity!